BUYER'S INCENTIVE - SELLER WILL CREDIT BUYER AT CLOSING IN AN AMOUNT EQUAL TO 1 MONTH'S MAINTENANCE. Welcome to Fleetwood! Affordable two bedroom unit in move-in condition in pre-war building on beautiful tree-lined block in the heart of Fleetwood. Great layout with entry foyer (8'x7'), large dine-in kitchen (18'x 7'), oversized living room (18'x13') with room for a dining table, two good-sized bedrooms (15'x12' and 12'x12'), and hall bath. Beautiful hardwood floors and crown moldings are among the pre-war details that make this apartment so special. Less than a 10 minute walk to the Fleetwood Metro North station which takes you to Grand Central Terminal in 28 minutes. 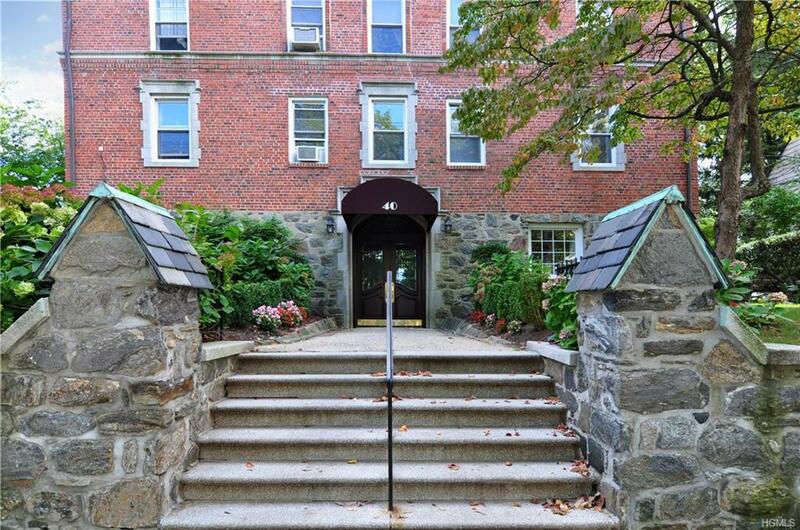 One block away from Gramatan Ave. with its many shops and restaurants, and also an easy walk to Bronxville Village. Note, this apartment is on the first floor but is not at ground level. Annual STAR exemption for Mt. Vernon is $2284. Private parking arrangement available for $60/mo. Some photos are virtually staged.